On Tuesday November 6 – five days before the nation commemorates the end of World War One – a very special event takes place at The Princess Royal Theatre in Port Talbot. Hundreds of older people from across South Wales who attend the Goldies Cymru Sing & Smile fun daytime sessions plus primary school children from local schools will take part in a day which will be based on the commemoration of WW1. Many of the attendees will wear costumes based on 100 years ago. Last month Goldies Cymru received the accolade of first place in the 2018 National Lottery Awards, Education Category. The winning entry ‘Armistice Cantata’ is a poignant 30 minute musical based on the end of WW1. It was researched and written by children from Thornhill Primary School, Cardiff. Armistice Cantata will be performed as part of the Goldies day at The Princess Royal Theatre in Port Talbot on the afternoon of Tuesday November 6 from 2pm-3pm. This event is supported by the Big Lottery Fund in Wales and will be opened at 10.30am by Richard Bellamy the Head of Heritage Lottery Fund Wales and the Mayor of Neath Port Talbot County Borough Council, Cllr Dennis Keogh. 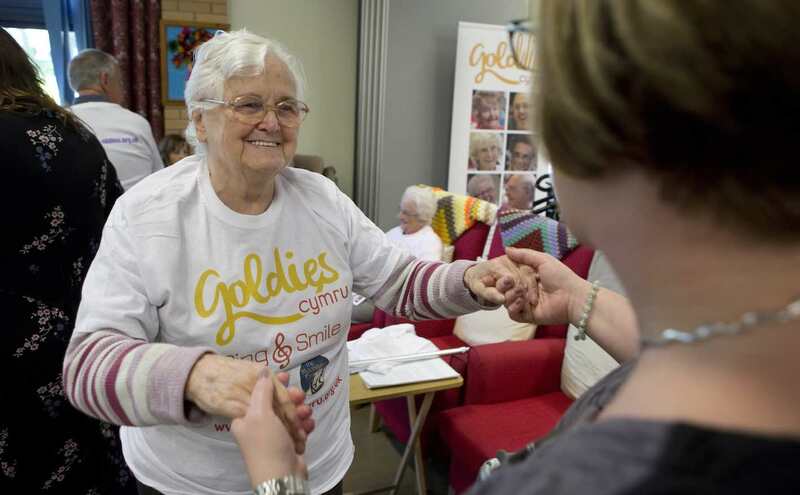 Goldies Cymru now runs over 60 daytime fun singing daytime sessions across South Wales. Hundreds take part and there are 10 dedicated session leaders. Community transport has been provided to enable over 350 to attend the November 6 commemoration day.